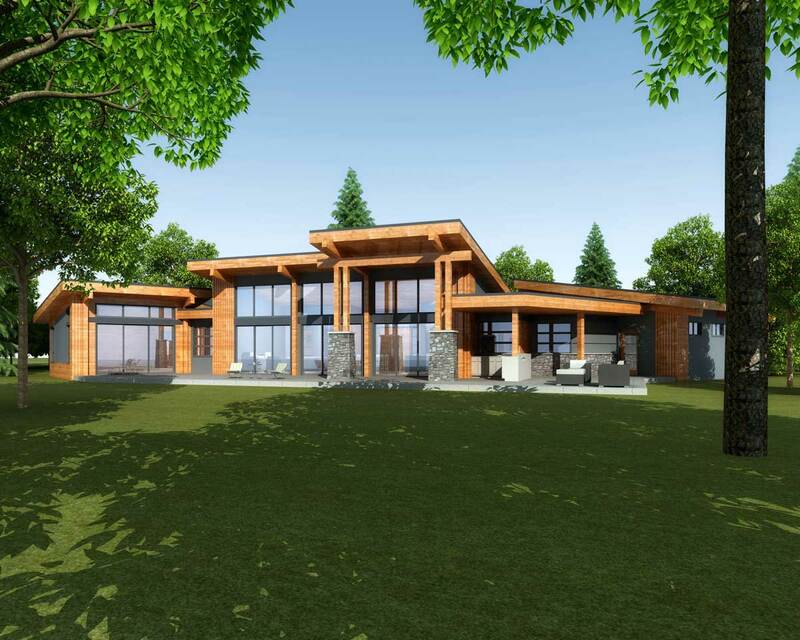 This unique and creative contemporary home design is optimized for a wooded, secluded lot located in Saanich B.C. The home is to be situated to align with and to be integrated with sun, as great room faces west for sunsets, and master bedroom faces southwest for daylight. The home orientated to maximize views, topography and surrounding nature. This rationally angled design permits all geometry to intersect, and to separate the mixture sloping, and the flat roofs for ease of construction and drainage of roof water. 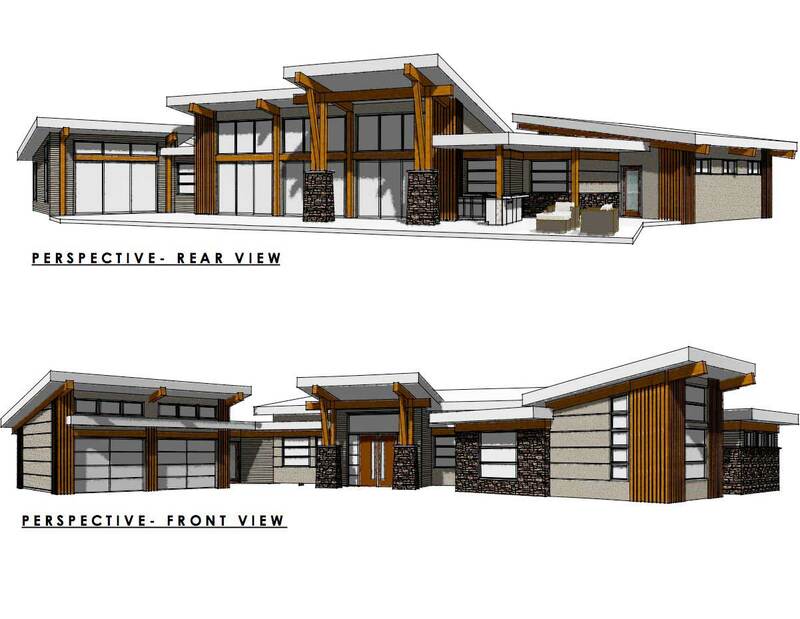 Unique vertical laminated battens anchoring as corner columns, that extend to meet sloping wood beams at soffits, balanced with natural stone veneer and accent stucco treatments offer a truly one of a kind appearance. 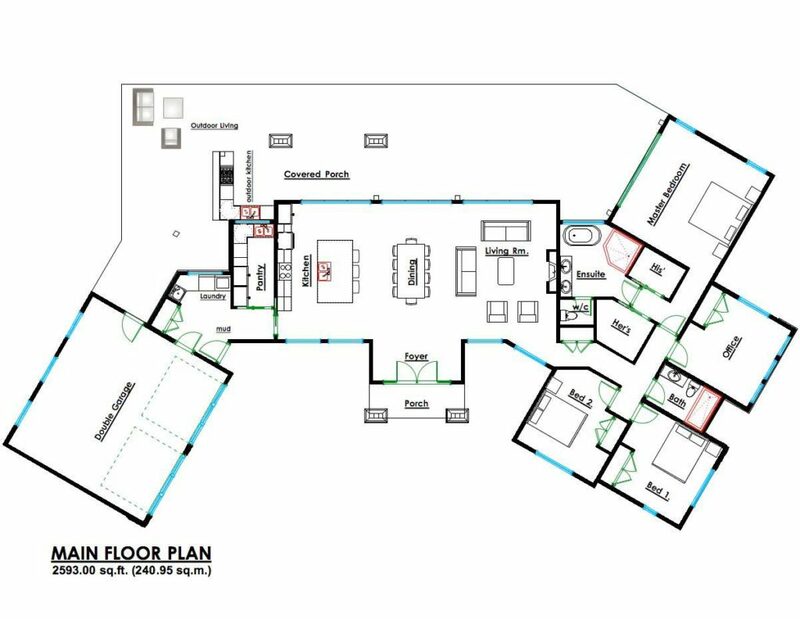 The efficient floor plan replicates desired wishes of the homeowner to create large and airy central great room opening directly to outdoor living, a separate bedroom section for privacy, and a focal garage for ease of approach on a daily basis. Symmetry is achieved with the front porch that centers on the great room to balance the front façade. 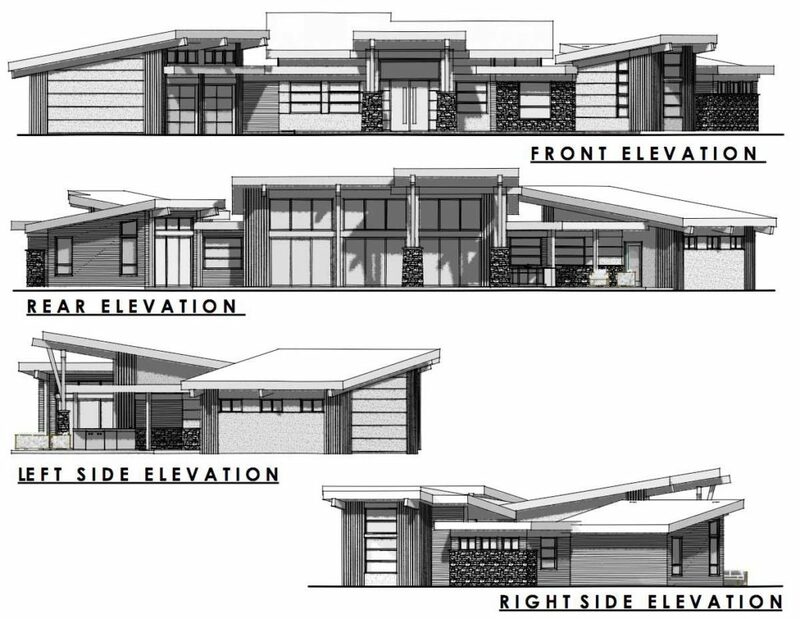 The soaring roofs ascend proportionally to each other predicated on individual importance. The home is to built with environmental practices such as passive solar orientation for major rooms, solar panels on south facing garage roof, grey water retention, energy efficient windows, energy star appliances and low flow toilets. 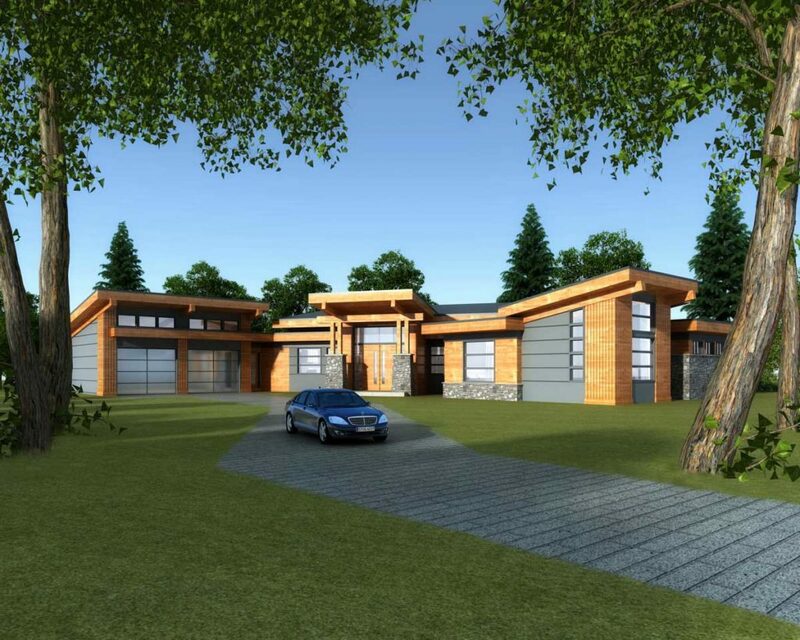 This unique home is truly one of a kind, and a fine example of what can be achieved with our creative design team.